Very kind of you, thanks! A large part of it, especially the RX-7 build, is as much online research as anything else. And as my ability to fabricate with steel has improved, I have become more fearless about trying new combinations of salvage yard auto parts. I still prefer things to bolt together as far as practical. The good-mileage sleeper king, in my mind, is the guy with the turbo LSx and T56 in the old Fairmont. Looks like granny, can run 9s on drag tires, can do 30 MPG, and can pass a smog test. Same set of results has also been done with a Fiero, too. I just want to keep up with traffic, most of the V6 Camrys and Accords now are over 270 HP, but a 270 HP 4.8L V8 in a 2700# S-10 will kill a 270 HP V6 in a 3700# car. Researching rotors and calipers for the axle swaps in my Camaros, I found something to test fit on this when I swap the standard differential out for a Traction-Lock I bought. The Explorer rear discs aren't vented, and use a tiny internal drum parking brake. I'm hoping to combine '82 Corvette rear rotors, at 11.75" x 1.25", with '76 Cadillac Eldorado rear calipers. This should fit inside the 16" wheels, eliminate the micro-size drums, and should clear the leafsprings if I clock the custom mounting brackets correctly. Then everything else in the new rear brakes should work like the '84 Pontiac Trans Am WS6 stuff I'm familiar with. Front brakes yet to be considered, but probably well over 12". First, Daox, if you're following this, should it be moved to where my RX-7 thread is? 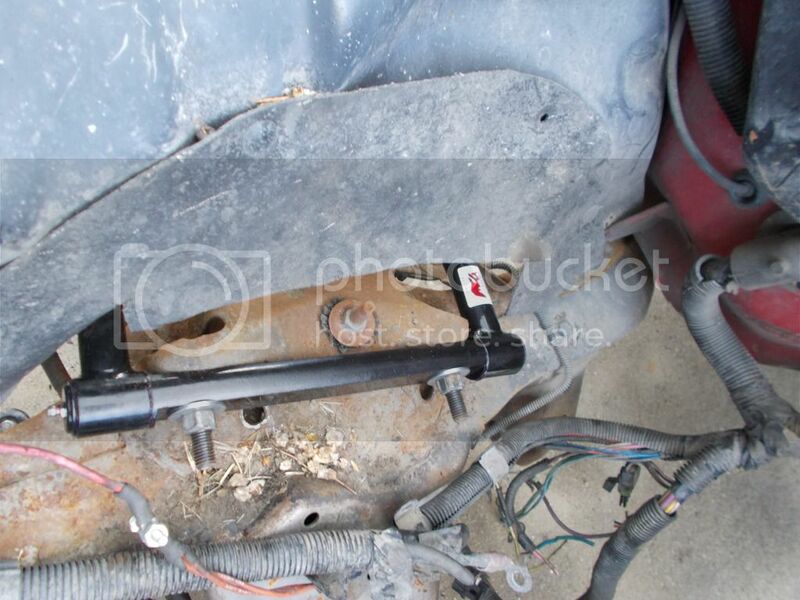 Second, I got the early-'90s Jeep Cherokee upper steering shaft, then ordered a lower, but I'm going to run it inverted, since it has splines at both ends. I need the clearance at the upper end. I don't really need the u-joint on my lower end, the rag joint clears fine, but tossing the rag joint will improve feel and response. But I found a nicer lower at a local salvage yard, which is how I discovered I was inverting it. Then on the right side, rather than dimpling the exhaust manifold with a hammer and an oxyacetylene torch I don't have, I think I can get that clearance with an aftermarket tubular upper control arm. As long as I use the versions that use a greaseable steel bearing instead of a poly bushing. By itself this is around $50 plus shipping. 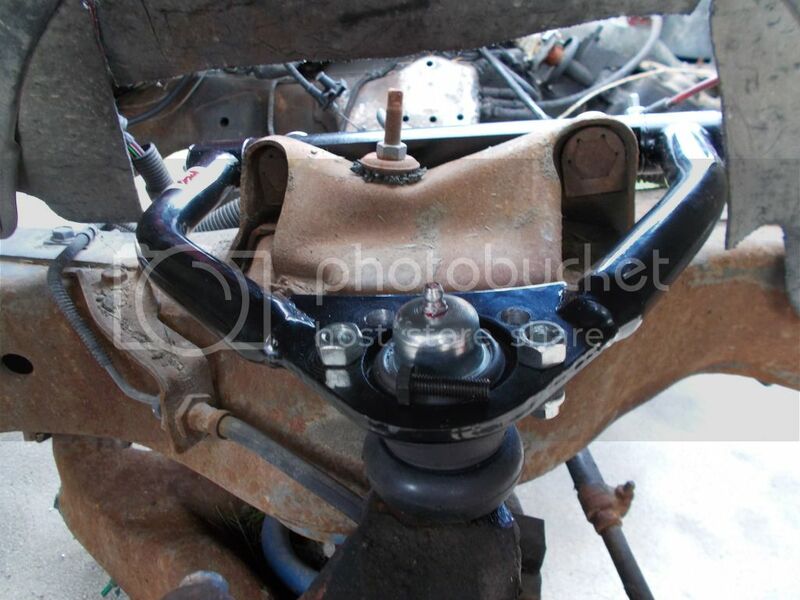 But then add a new upper balljoint, that adds cost. While online researching all this, I learned more than I could imagine. Like using a "tall" ball joint to improve the camber curve, but this requires getting the arm from UB Machine, they designed their arms for these joints. And these are basically iust '84 Chevrolet C10 upper ball joints. So far, so good. Little extra cost, I'm game. That'll get me driving by July. One arm, one joint. 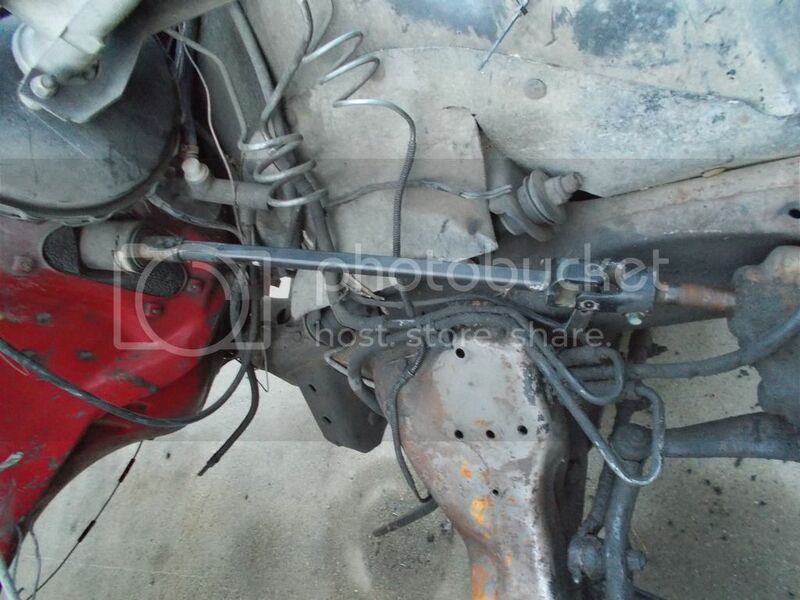 Then after the Cruise-In, as funds permit I can do the same on the left side, do tall lower joints from Proforged, and do police Caprice spindles with '89 Turbo Trans Am rotors, 12" from my current 10.5", plus the tall lower joints reduces bumpsteer in this case. So for very little investment I get big improvements in cornering and braking, to go with the V8 power. Lastly for today's update, I found a lower cost way to recalibrate the speedometer and shift points for my 2.73:1 axle gears, but that'll wait until after the Cruise-In. $90 all total for the recal with shipping both ways. Plus I'll have the top speed limiter raised to match the tires and horsepower. I found a sale on 225/60R16 tires, so that's what I'm putting on the rear, making my cruise RPM 1562 @ 65 MPH once I swap my 3.08s for my 2.73s. This engine pulls 1610 @ 65 in fullsize pickups, so this is safe. 2.47s are rare, but I hope to try some.